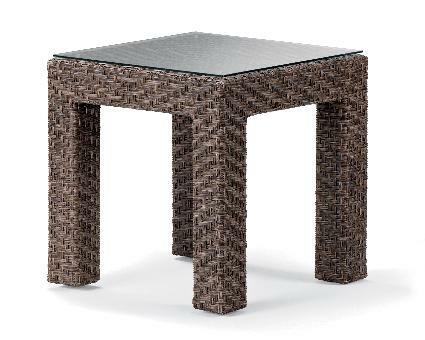 Telescope Lakeshore Wicker 20" Square End Table with Tempered Glass Overlay. This item coordinates with the other Lakeshore Wicker Collection items. Overall height - 20 inches.